Last night I had the PRIVILEGE of walking with two THOUSAND wonderful women on the NIGHT WALK FOR NORTH DEVON HOSPICE, raising money for this invaluable service and provision of night nurses. We were entertained along the way by the wonderful TORRINGTON CAVALIERS. The SWEETS and PROSECCO was very welcome, hic! 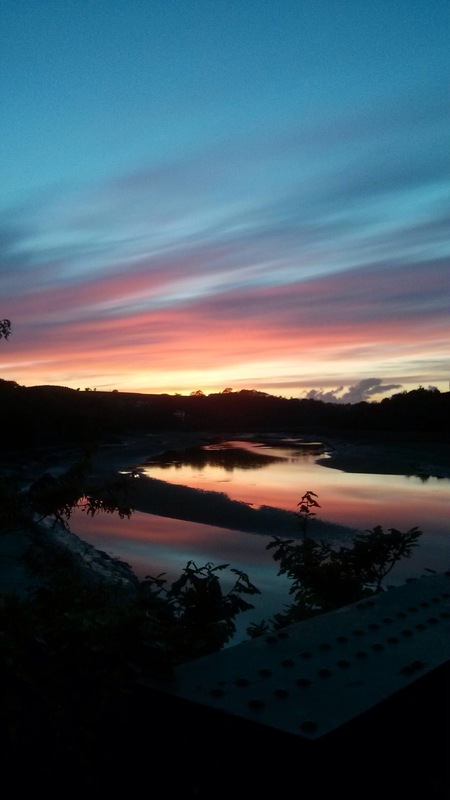 Walking the TARKA TRAIL the scenery was beautiful accompanied by birdsong and with the bonus of this beautiful sunset. Although Ronald has been looking after me today, he is also laughing at me. A LOT! Unfortunately my children’s sense of humour follows their father and they thought that was hilarious.